We are a reputed Manufacturer and Supplier of optimum quality Roaster Machine, Conveyor Machine, Multihead Weigher Packing Machine, Milk Packing Machine, Batch Mixer Machine, etc. Offered products are manufactured as per the industry set norms. We are a reputed manufacturer and supplier of a highly efficient array of Roaster Machine, Conveyor Machine, Multihead Weigher Packing Machine, Milk Packing Machine, Batch Mixer Machine, Tea Blending Machine, Puff Extruder Machine, FFS Packing Machine, Collar Type Machine, Pouch Packing Machine, VFFS Packaging Machine, Extruder Machine, etc. These machines are precisely manufactured by our veteran engineers using premium quality components and advanced technology in compliance with industry quality standards. 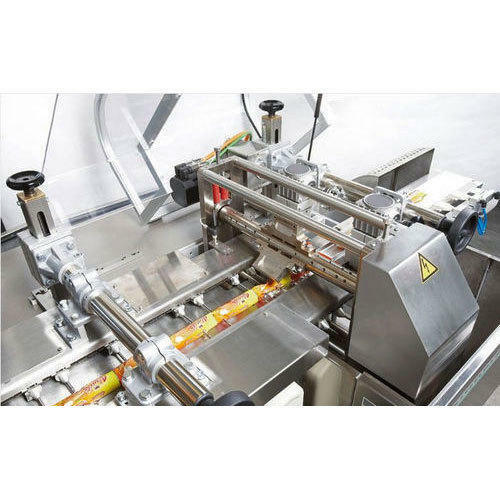 Offered machines are highly appreciated due to their remarkable attributes such as rigid design, low maintenance, long service life, smooth functioning, excellent performance and high efficiency. Furthermore, clients can avail these machines from us in various specifications at pocket friendly prices.